Tucson’s new Sun Link streetcar passes sidewalk cafe during opening day festivities. Photo: Ed Havens. 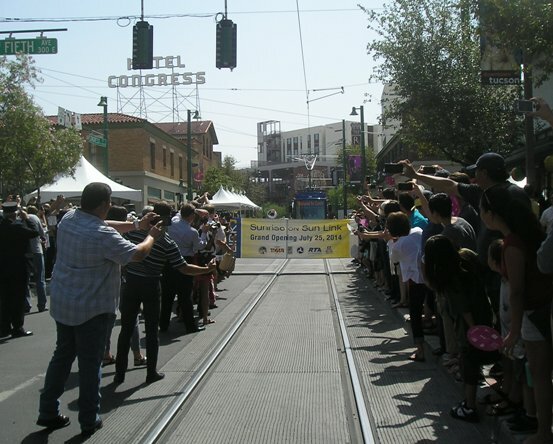 With dancing bands, a street festival, and plenty of other hoopla, Tucson’s new Sun Link modern streetcar system made its debut on Friday, 25 July, and by all accounts, the 3.9-mile, $198.8 million line was a huge hit. Over three days of free rides, a total of 60,000 rider-trips was recorded, with 25,000 boarding on Saturday the 26th. Automatic passenger counting (APC) door sensors on the cars tallied all the passengers. Among those celebrating Tucson’s project was Urban Rail Today co-principal John Schneider, credited with spearheading the new streetcar project in Cincinnati. John was in Tucson for several days to ride and photograph the new streetcar system there. 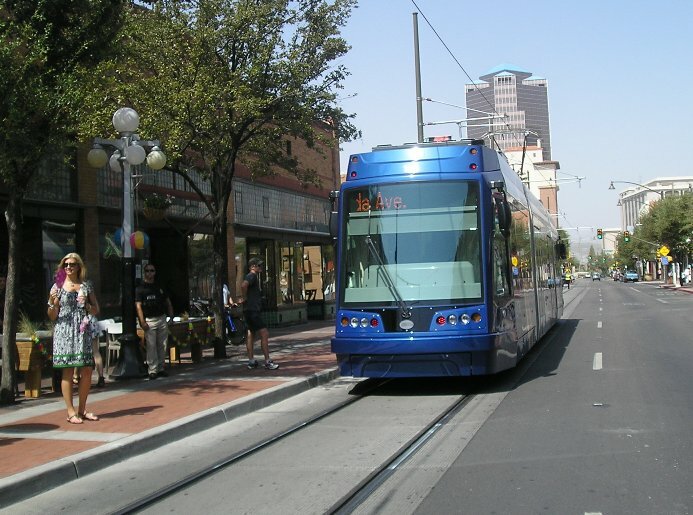 Tucson’s streetcar starter line has 18 stops and 8 streetcars (manufactured by Oregon Iron Works/United Streetcar of Portland, Oregon), each with a capacity of about 150 passengers. At 10-minute headways, that means an approximately 50% increase in the people-moving capacity of each street lane. As described by Inside Tucson Business, the nearly 4-mile-long route connects the University of Arizona, Main Gate Square, the Fourth Avenue business district, downtown Tucson, and the Mercado area west of Interstate 10. It’s “the city’s largest, most complex construction project ever,” says the paper, adding that it’s been funded with dollars from the Regional Transportation Authority, other local sources, and federal grants. Jubilant crowd lines track for photo-op moment as Tucson’s first modern streetcar approaches inauguration banner on opening day. Photo: Ed Havens. I know that there’s multiple hundreds of millions of dollars of projects that are now going to be coming up soon, so that’s going to be increasing over the $1 billion mark. That’s one of the markers we have for how successful this project is going to be. Most riders among the opening-weekend crowds radiated enthusiasm about the new line. ABC TV affiliate KGUN interviewed several. “It’s just great to see the vibrancy that’s happening in Tucson after graduating here several years ago” enthused Hillary Foose, described as “the first person in line at one of the downtown stops”. 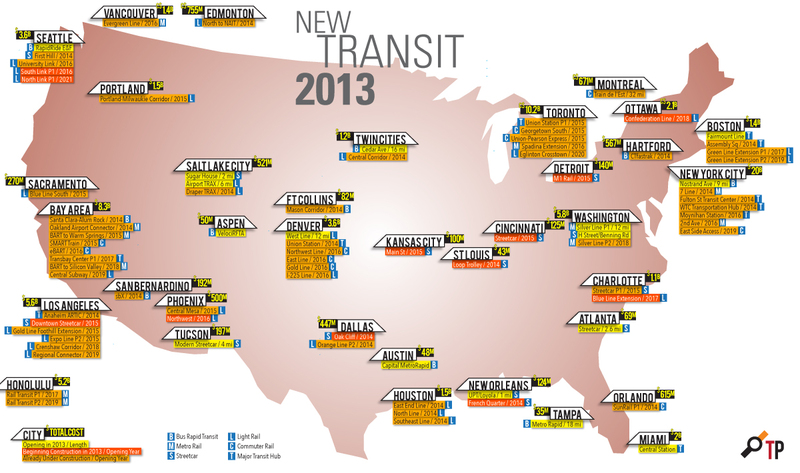 “We’ve seen it in Phoenix and we’ve seen what the streetcar will be for Tucson it will mean great things …” she added.